Who would like to join me for the evening full of Greek and Turkish vibes performed by Serenade Ensemble? Coming from Greek and Turkish roots they all met at Codarts University in Rotterdam. Their music connects the history and tradition of different cultures, sharing memories and melodies and touching the common grounds of music. 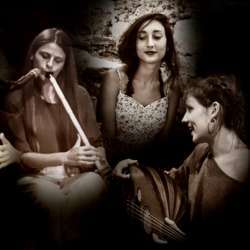 This will be an evening of an eclectic mix of sounds, lyrics and flavours from the Aegean region.